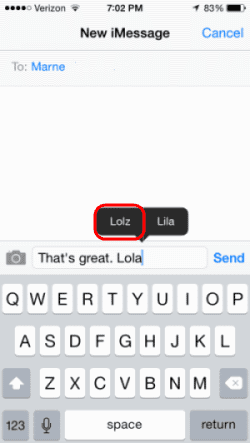 Are you tired of your Apple iPhone or iPad automatically correcting words for you? If you learn how to add commonly used words to the auto-correct dictionary of the device, you won’t have this annoying problem anymore. There are a couple of ways you can go about adding words to the dictionary. 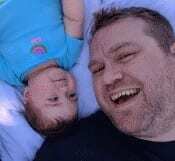 Just check out this tutorial. This is the recommended option because it’s so easy and quick. You can add words to the dictionary while typing by using these steps. Type the word in any app, then press the “Spacebar“. The word gets auto-corrected as expected. Press “Backspace” and bubble will appear above the word containing the auto-corrected word. Tap the one that matches your word. 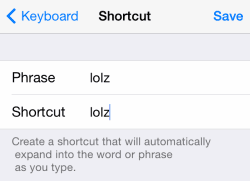 The word is now added to the iOS internal keyboard dictionary. You’ll never have to correct the word again. If you ever wish to clear the words you have added to the keyboard dictionary, go to “Settings” > “Reset” > “Reset Keyboard Dictionary“. 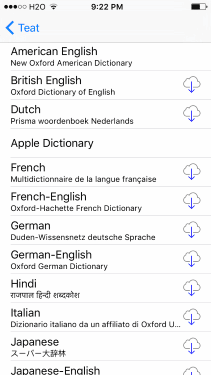 If you speak multiple languages and your device keeps trying to correct you, import additional dictionaries using these steps. Tap any word to select it. Tap the right-arrow, then select “Define“. 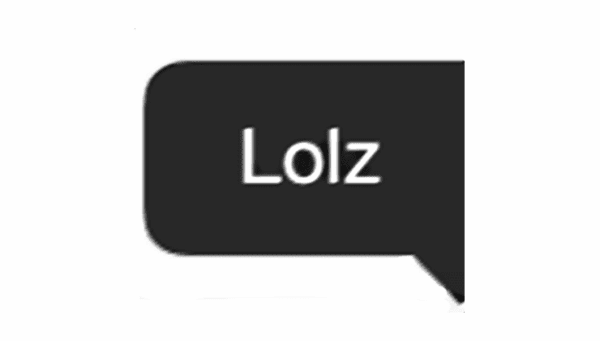 Tap the cloud button next to the dictionary you wish to start using to download it. Your device should then stop bugging you about correcting words in that language. You can add words in bulk before you use them using this option. Type the word you wish to add in both the “Phrase” and “Shortcut” fields, and auto-correct won’t bother that word again. Is there a list somewhere that allows me to just add words to the dictionary? Nope. But you could simply type them out one by one in an app, then add them all to the dictionary that way. I guess I’m stupid, but the directions here neglect to ay start with “edit” at the bottom, then add, then both words, then “done” at the bottom left. Once I figured out the edit and done parts I was good to go. In detailed directions, add ALL the directions! CORRECTION: Under Option 3 (Shortcuts) it should say Open Settings then General then Select Keyboard (not Open Settings and Select Keyboard). No help. The Settins/Keyboard does not exist: on IOS 12 it is in settings/ general/ keyboard, and there is not a choice for shortcut. Is there any way to add hundreds of words in the iphone dictionary? I can edit the ~/Library/Spelling/LocalDictionary file in mac and add it there. Is there any similar feature in Iphone? I miss my HTC M8!